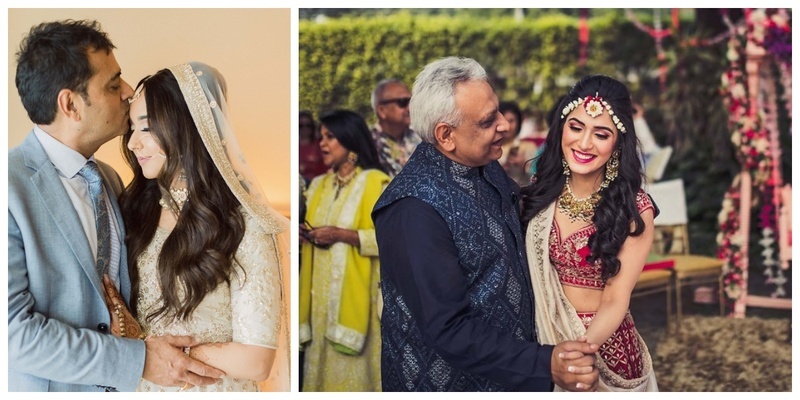 10 Adorable Bride-and-Father moments that got us teary-eyed! 1. Follow the lead- cause he has always guided you through the way! 2. A cute moment captured- because daddy just can’t say no! 3. Cause his ‘little princess’ has always been his fashion advisor! 4. The father who lightens up the mood with his broad smile! 7. The beautiful goodbye kiss! 10. A hug with father is a necessity- be it at any time! There is no way one can count the number of beautiful emotions a girl experiences with her father and so there’s no denying to the fact that there is nothing but unconditional love that makes up a father’s heart. Cheers to the golden-heart man!